In March, NWO-I organised the fiftieth edition of the Business Orientation Week. Participant Joep Peters: "This training has confirmed my choice of seeking a job in industry after I gain my doctorate." "I think NWO-I is making a good investment by offering its employees this training course. It is realistic and the number of academic places is limited: besides the twenty PhDs only one position is available for a professor. Thanks to this training course I have gained insight into career possibilities outside of academia and myself awareness has grown. I have become more certain about choosing a job in industry after I have gained my doctorate, preferably with a company in materials science." Joep Peters was one of the 19 participants at the Nyenrode Business Orientation Week last month. 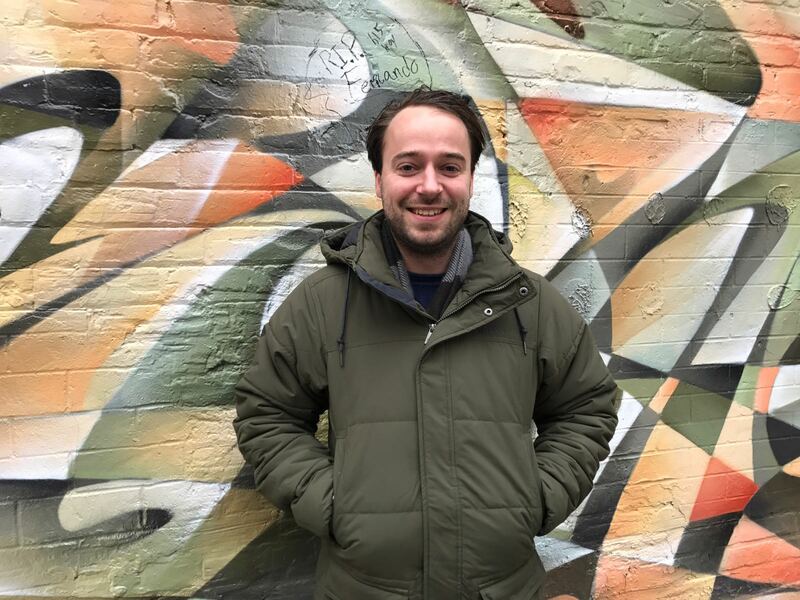 NWO-I trains PhD researchers for a career in academia, but also finds it important that these young professionals broaden their horizons, for example by preparing for a possible career in industry. "During this week a lot of attention was paid to our own personal development: who are you, what do you like and where do your ambitions lie? As we completed group assignments, such as doing simulations in game form and role plays, I saw a real group dynamic evolve. We gained insight into how leadership arises, whether you take risks, how you solve problems and especially which role suits you. Understanding such soft skills was useful for everybody and the foreign PhDs in particular considered this to be especially valuable. After that we were given the assignment of writing our own life story and sharing this. Some of the PhDs had very intense personal stories." "We were coached in groups to determine which type of work would suit us best and why. A personality test revealed the type of person each person was and whether, for example, you would fit well in a small company or a job in consultancy. It was striking to see that everybody was very open, even the more shy types. I also really enjoyed the presentations given by former participants of this training course who had been invited to come and tell us about their careers, for example at TNO and in consultancy firms and about the struggles that can occur when you establish your own start-up." Besides the necessary relaxation in the form of a sporting activity and a guided tour of the Nyenrode castle, the Thursday was devoted to a company visit. "I went really well prepared with my group to the R&D company Thales in Hengelo, where we were welcomed by a former NWO-I PhD who is now working there. Our assignment was to gather as much information as possible from this visit and to analyse this: for example, to gain more insight into the type of company, atmosphere, company structure the (international) personnel policy and interpersonal relationships. All of this was aimed at answering the question: would I fit in this type of company?" 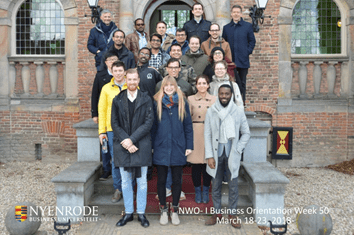 The Business Orientation Week that NWO-I organises in collaboration with Nyenrode Business University for its PhD's celebrated its 25-year jubilee in 2014 and last month it was given for the fiftieth occasion. This training course was first given in 1989, and was then modernised constantly. But the goal is still relevant: offering insight to PhDs in the possibilities of a career outside of science. The participants stay from Sunday afternoon to Friday afternoon at the Nyenrode estate in Breukelen. They gain an understanding of organisation processes and the possibilities in business and industry. But most of all they gain insight into their own valuable and distinctive qualities. NWO-I has developed a range of training courses for PhDs (and several for postdocs). NWO-I is currently evaluating all of its training courses. It will then be examined which courses are appropriate for the new NWO-I organisation and whether any changes are needed. Further information about these training courses can be found here. Joep Peters (28) is an NWO-I PhD researcher at Utrecht University. As a chemist he is investigating how mixing nanocrystals, in other words artificial atoms, leads to larger structures. The periodic lattice of the resulting structures determines the electronic properties.